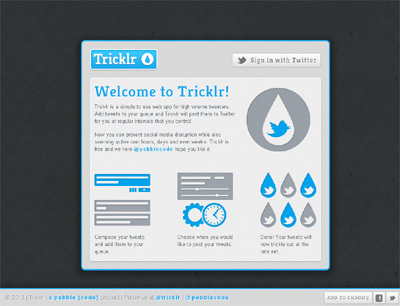 Tricklr is a simple web app for high volume tweeters. Add tweets to your queue and Tricklr will post them to Twitter for you at regular intervals that you control. Tricklr has been designed to be as simple as possible with a strong empasis on user experience.